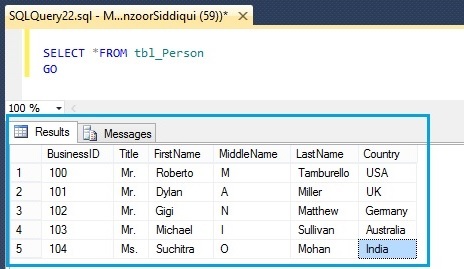 We will see how we can work on database tables with T-SQL and SQL Server Management Studio (SSMS) in a simple and easy way so that any beginner or learner who is interested in learning SQL irrespective of relevant experience and domain knowledge can understand and work on it easily. Today we are going to learn about database tables like create table, insert into table, select table, rename table and drop table by referring T-SQL, Template Explorer and SQL Server Management Studio. Basically a table is a combination of rows and columns filled with data in cells. This data is arranged in a manner that it becomes valuable information for us and collection of information altogether makes a database. For demonstration purpose we will refer AdventureWorks2012 database. 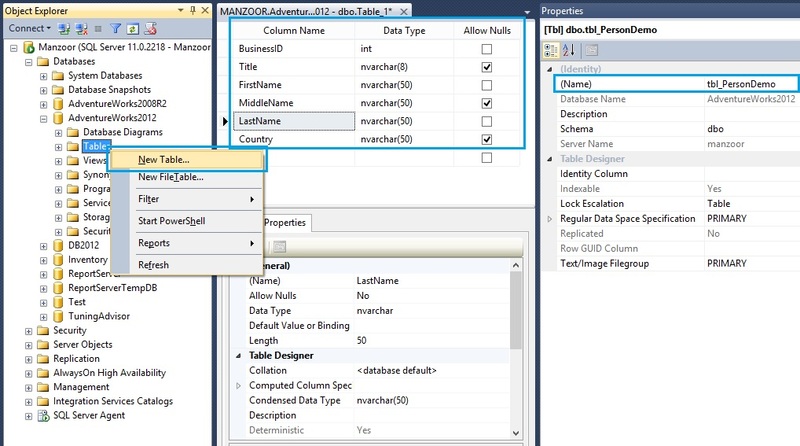 We can create table by T-SQL or SSMS as follows. Below you can refer a demo table named as tbl_Person. 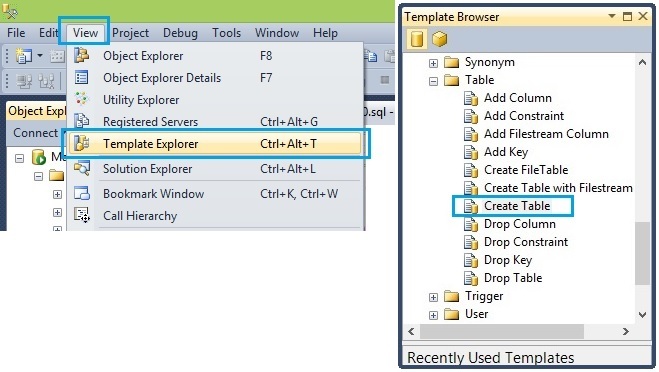 You can access Template Explorer by pressing short key Ctrl+Alt+T or go to View –> click Template Explorer in SQL Server Management Studio. Then navigate to Table –> Create Table template and drag and drop to your query window as shown below. 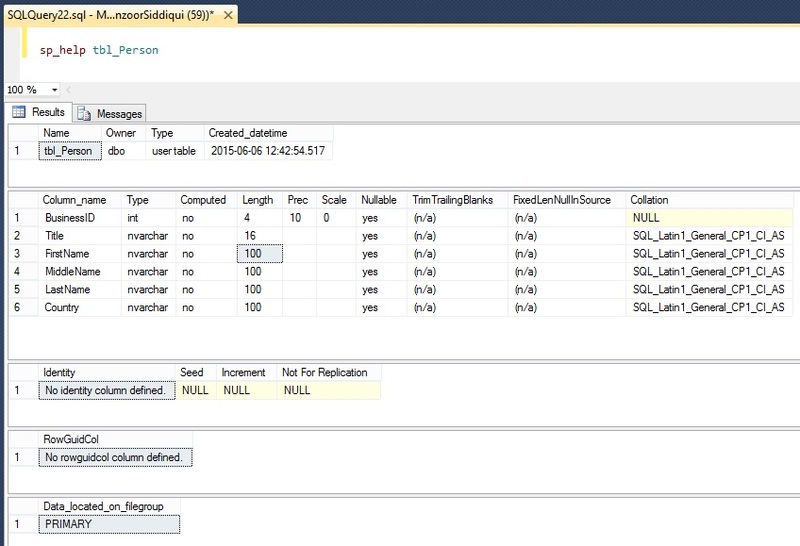 You can check table details by T-SQL as in Figure-3. You can insert data into table by following query. Or you can insert records manually by SSMS as below. You can view all available records in the table by querying. If you want to rename a table at any point of time due to some reason, you can do the same by T-SQL or by SSMS as mentioned below. 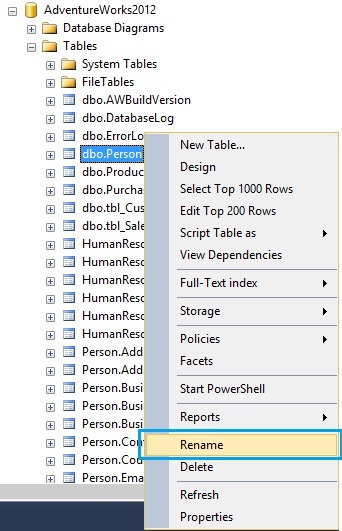 Here we will rename our existing table tbl_Person to new table name Person. If you want to completely drop a table, you can do the same by T-SQL or right click on table and click Delete in Object Explorer.